I have found myself in the mood for some Gnine-ing about and felt the urge to build something new, below is progress of a card sketch-model for a new locomotive, which will be put to work on the Demaine & Son layout…and another project I have been slowly planning in the background too. Back to the loco, I drew the original bonnet shape in illustrator, as I wanted something a bit different – I’m debating whether this locomotive will be battery or I/C powered – I guess we’ll see as it develops. 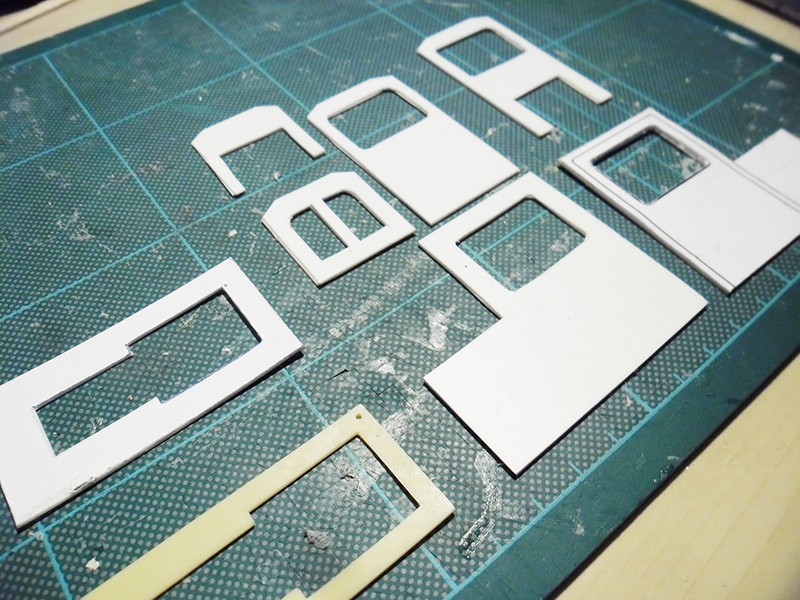 The whole model seen here is built with scrap card, some of it is laminated to add strength, and it is a tough little beast even now. 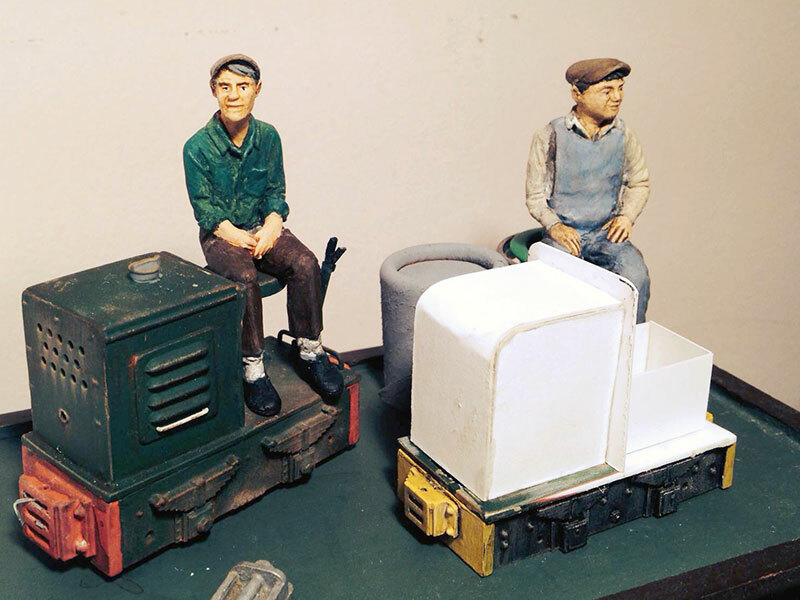 Here, sat next to a Sidelines Tiny, the little engine’s size is revealed to be in good proportion and consistent with the other Gnine items I have which is a bonus! First try too! That was enough for one evening, course work was calling. The next evening after walking the dog and a brief run, I had taken some time to think about what I wanted to try next, so I sat at my desk and bit the metaphorical bullet. I have always wanted a cabbed loco, and although the scale/gauge combination makes it a bit of a challenge to maintain a locomotives dignity by adding a cab, my previous attempts have usually resulted in something resembling a caricature of an engine rather than a genuine little workhorse for my industrial little line. 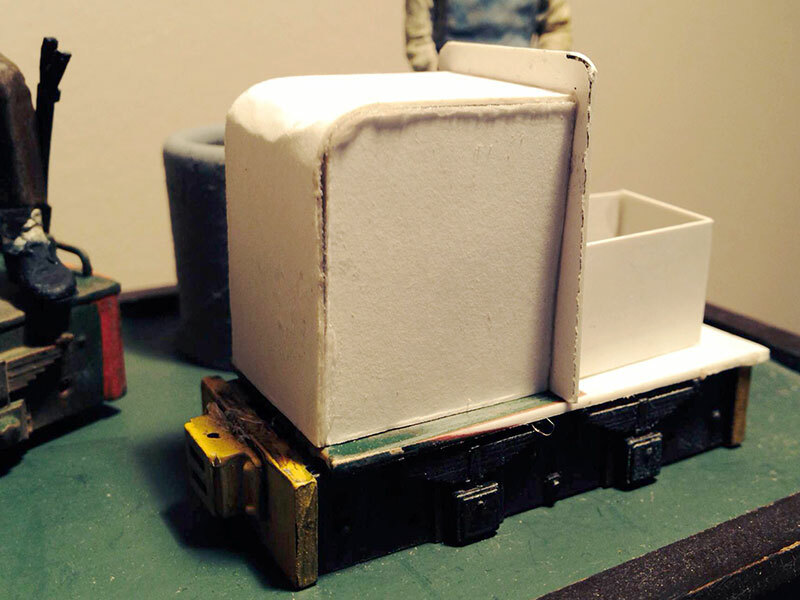 I think this time, adding width to the cab body has helped, and I have actually made it too tall if you notice, Eddie is sat in there with plenty of headroom, so I will be amending this in the final version of the model. Below is another comparison shot with the Tiny to show how everything scales up. 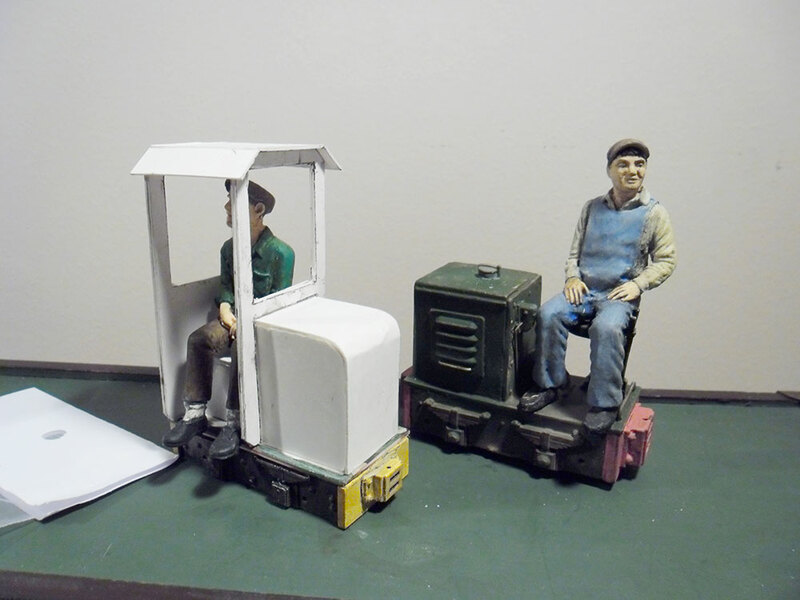 I have another figure in mind to take place in the cab, so I may need to shave a few mm off the bonnet to allow room in the cab for his larger back-side! 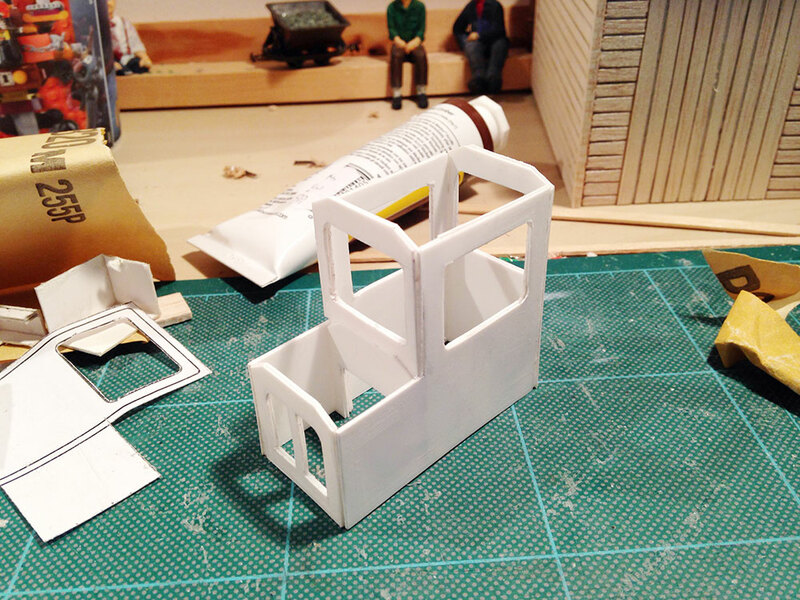 I need to see what the cab looks like fully enclosed as I would prefer this, so I’ll update as work progresses. The new loco looks good. As you are working in card I think its worth the additional effort to lower the cab at this stage of the build. In the future finding an alternative driver figure who is sitting in a more crouched position would be helpful for future builds. 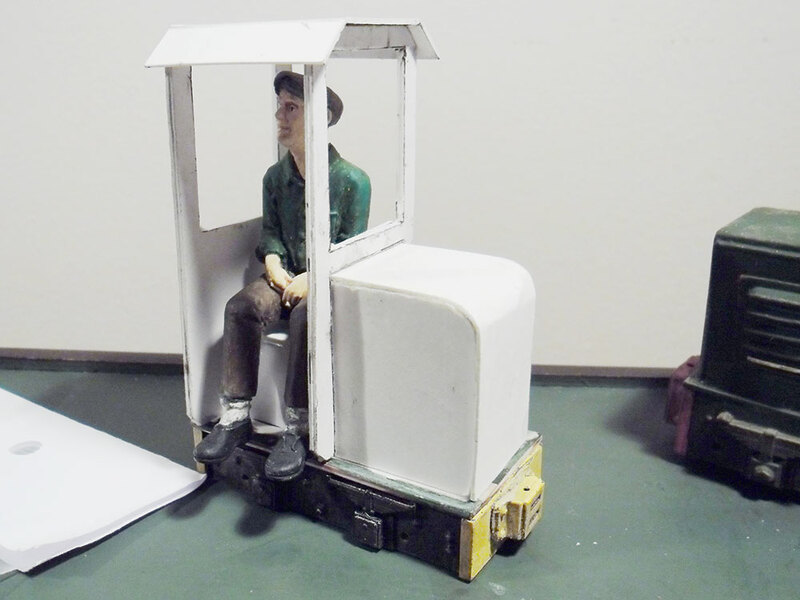 This is only a card sketch model, so I will alter the cab height when I next sit to work on this - that way I can get a more accurate final model when it comes to slicing up plastic sheet! I'd be interested in seeing a close up of your cabbed loco at some point if I may? I think part of the problem with adding a cab to this chassis is that it is so short. If you compare with cabless versions most drivers seem to be seated with their bum back over the end beam. As your cab looks now, there is very Little room for Eddie to move around and access his control levers. So either lengthen the sideframes a few mm and move the bonnet forward, shorten the bonnet, or allow the cab to extend over the end beam? 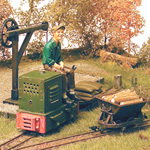 I have now started a-fresh using Colin Peake's 1/24 scale Lister model as inspiration. Well I have taken cues from the design and construction method at any rate...I'll hopefully get more done over the next couple of evenings between Uni work and training.